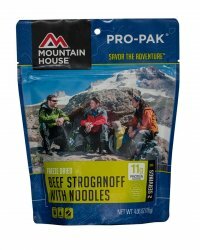 Beef Stroganoff W/Noodles (pro pack)  - $7.49 : Trail Explorers Outpost, Keeping the Adventure Alive! The awe and majesty of the view is one of the rewards of climbing mountains. But the laws of nature also mean you've spent a good amount of energy getting there. Just because you're miles away from the nearest kitchen doesn't mean you have to eat like it. Our beef stroganoff is the real thing. 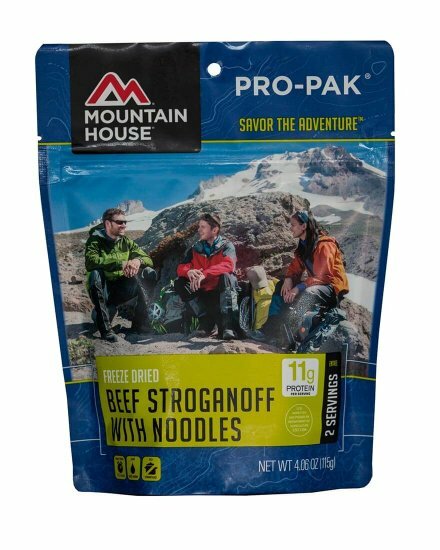 We make it with tender, all natural beef, savory mushrooms and onions with noodles in a rich sour cream sauce. 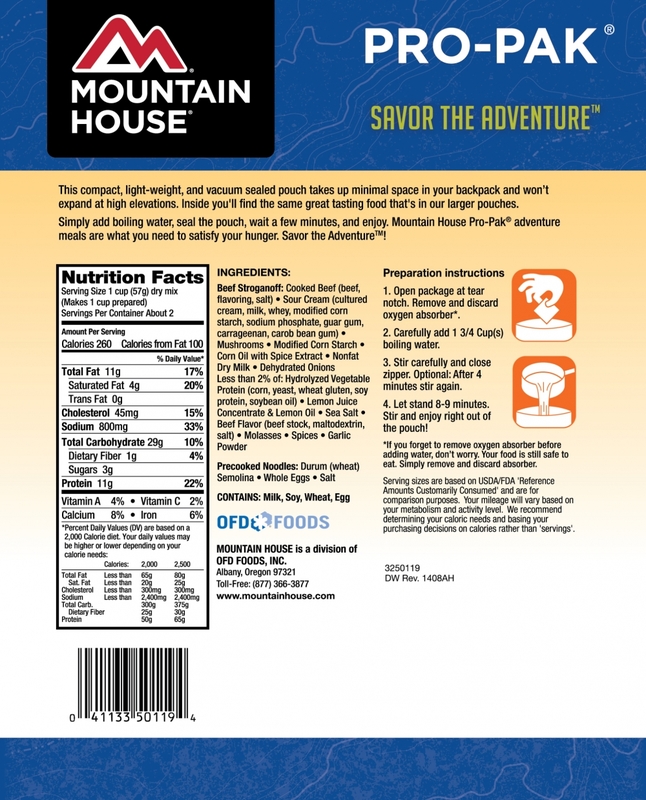 It's so good, you'd never guess this is freeze dried food.